Pope Francis has given his approval for the Catholic Church in Australia to hold the first Plenary Council since 1937. We are all being asked to consider and discuss this question: What do you think God is asking of us at this time? Pope Francis, in his latest exhortation on holiness, sets out a good guide as to how we can discern what the Spirit is saying to the Church in Australia. But first, we hear what our task is from Archbishop Costelloe. The question What do you think God is asking of us at this time? is not inviting us simply to offer what we would like to see continue, or change, in the Church. Rather it is inviting us to ask whether or not what we might want is in harmony with what God is actually asking of us. We are being asked to discern God's will. Pope Francis says discernment is a gift of the Holy Spirit and so we must first recognise that it is God inviting us to grow beyond mere good intentions (GE, 168). God wants to give us special graces that help us share more profoundly in Triune life. This is God's will. Therefore, we need to spend time in prayer and reflection (GE, 166) as to avoid novelties whilst avoiding the opposite, a rigid resistance to change (GE, 168). Only in this way can we discern what it is that God has prepared for us at this time. The Holy Father continues: “Discernment is a grace. Even though it includes reason and prudence, it goes beyond them for it seeks a glimpse of that unique and mysterious plan that God has for each of us … It has to do with the meaning of my life before the Father … [which is] the real purpose of my life” (GE, 170). To be discerning we need the “silence of prolonged prayer, which enables us better to perceive God’s language” (GE, 171). “Naturally, this attitude of listening entails obedience to the Gospel as the ultimate standard” (GE, 173), a readiness to make sacrifices (GE, 174), and must not involve egoism, rather the desire to leave our self-interests behind in order to approach the mystery of God (GE, 175). Lastly, critically, our discernment must invoke and involve Mary (GE, 176). May God be with us in this critical time for the Church in Australia. We face challenges and possibilities of such significance that only a solemn and formal gathering of the bishops, under the guidance of the Holy Spirit, can provide us with the wisdom we need to discern what God is asking of us at this time. We are asked to contribute to this process. In the coming months, as a parish community, I hope that we can gather together to listen to one another, to reflect on this question. What do you think God is asking of us at this time? We pray for the Church of Australia. 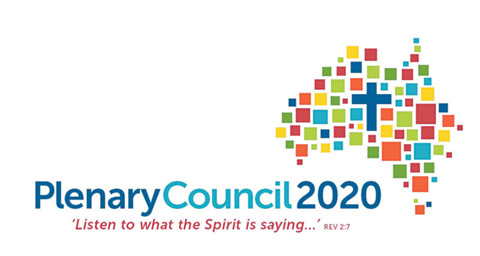 May the Plenary Council 2020 be an opportunity to truly listen to all people.